« Drawing pictures with text (the joys and annoyances of Unicode and Ascii text). 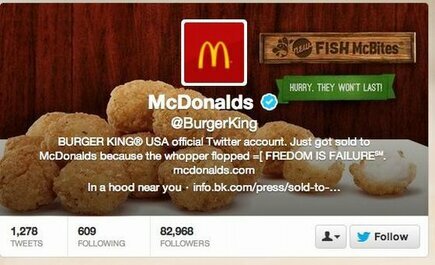 Earlier today the @BurgerKing twitter account got hacked – possibly by online hacking pranksters “anonymous” – and started to tweet rather “off message” stuff (starting by saying the chain had been sold to McDonalds). See an abridged storify of what happened. See a full version (includes crude language).
.@twitcleaner interesting that the @burgerking real name had been changed and then re-verified (if change real name, twitter re-verifys). I would have sworn at the time that the “real name” was one of the fields you are not allowed to change. I had a vague memory of doing it for the account I manage (even just changing lower case letters to upper case) and losing the tick. Or I was right that something more sinister happened in the BurgerKing case and the reverification tick was restored, despite the change in real name. Applying Occams razor suggests it was the first option – but I can’t find conclusive proof anywhere. Anyone else know how much of a verified account you can change before you lose the tick? 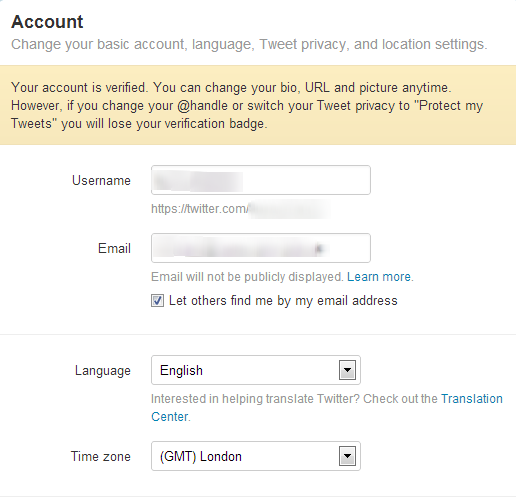 I’m definitely against hacking a Twitter account or any account at all, but I must admit that it’s a bit funny. Anyway, aren’t all fast-food companies basically all the same? I have to admit to smiling when I saw it. I think the impact was greater because it was done on a US national holiday (Presidents day) so there may have been no one in the office to spot the problem. It also highlights for me the problems that 24h social media causes for a brand – if your account is hacked at 2 am, or on a weekend or public holiday…who is going to spot it? Interestingly, when the account was restored the following day (twitter had suspended the account) it had lost the verified tick!